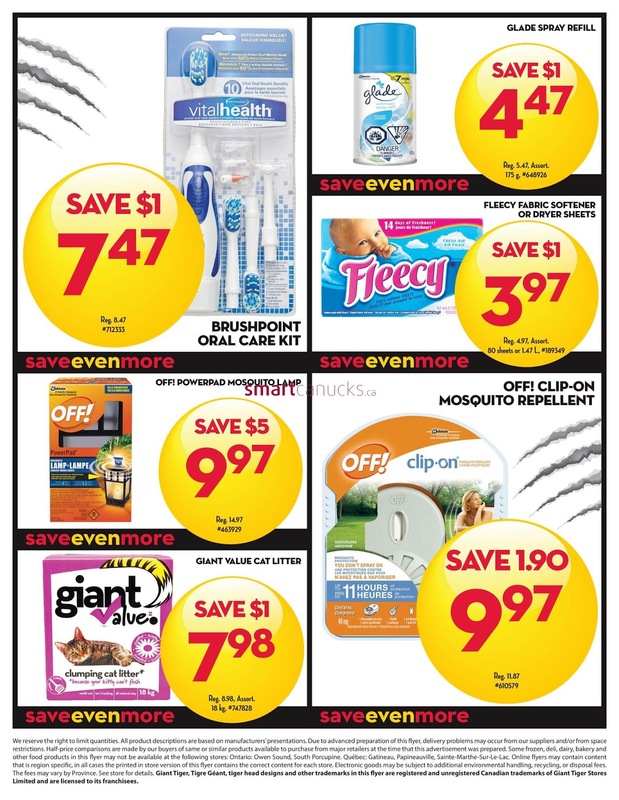 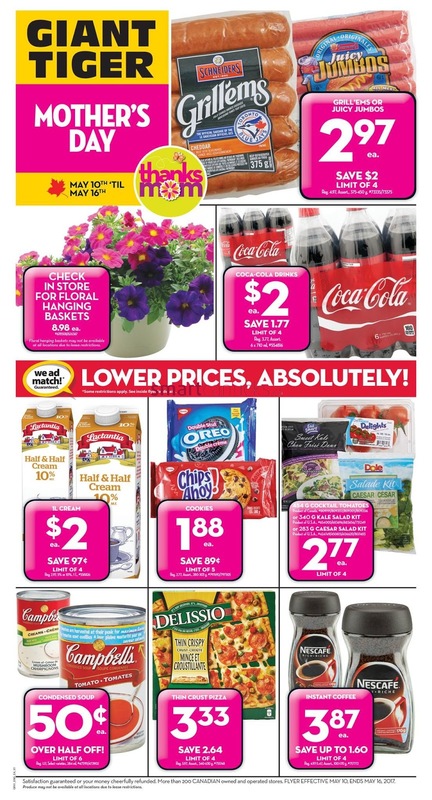 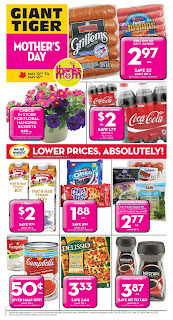 Giant Tiger Mother's Day May 10th - May 16th 2017, Cover Flyer Giant Tiger Special for Mom Grill'ems or Juicy Jumbos $2.97 ea, Save $2 limit of 4, Check in store for floral hanging baskets 8.98 ea, Coca-Cocla Drinks $2 ea save 1.77 limit of 4, We ad match Guaranteed lower prices, Absolutely! 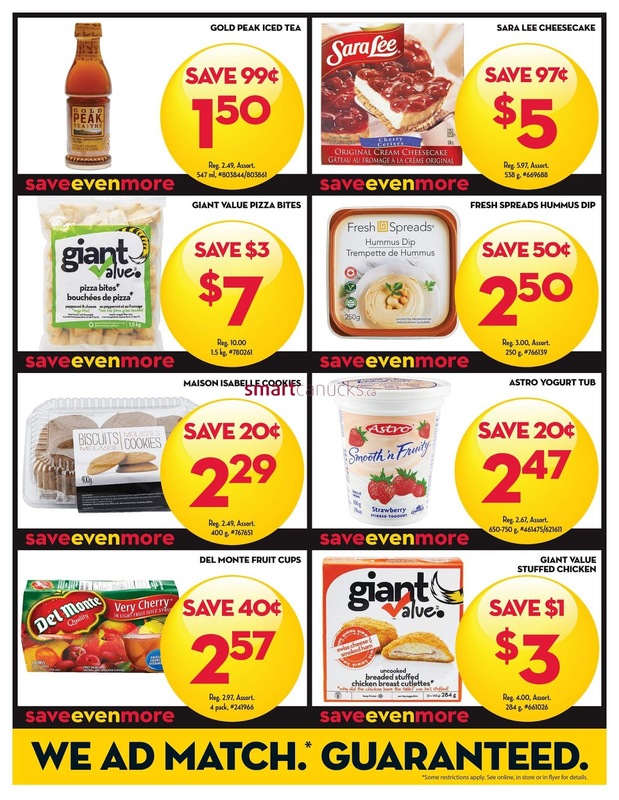 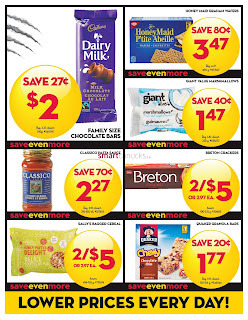 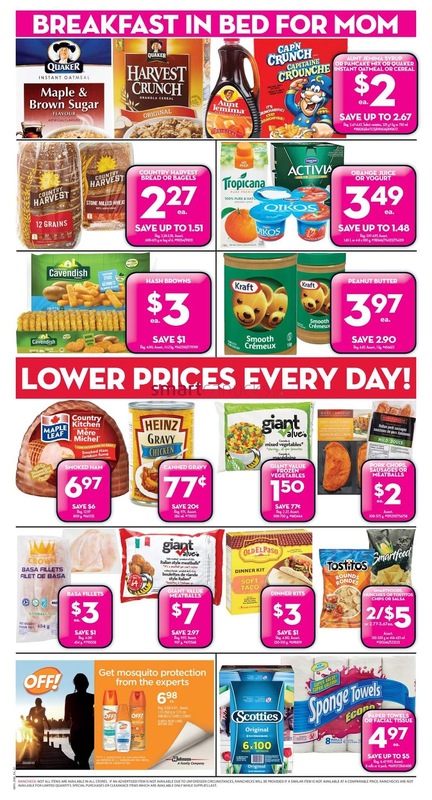 TL Cream $2 ea save 97 cent limit of 4, Cookies $1.88 ea save 89 cent limit of 5, Dondensed Soup 50 cent ea over half off! 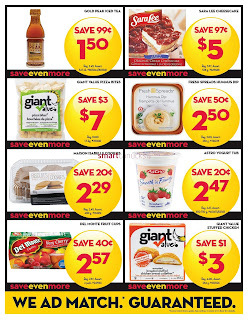 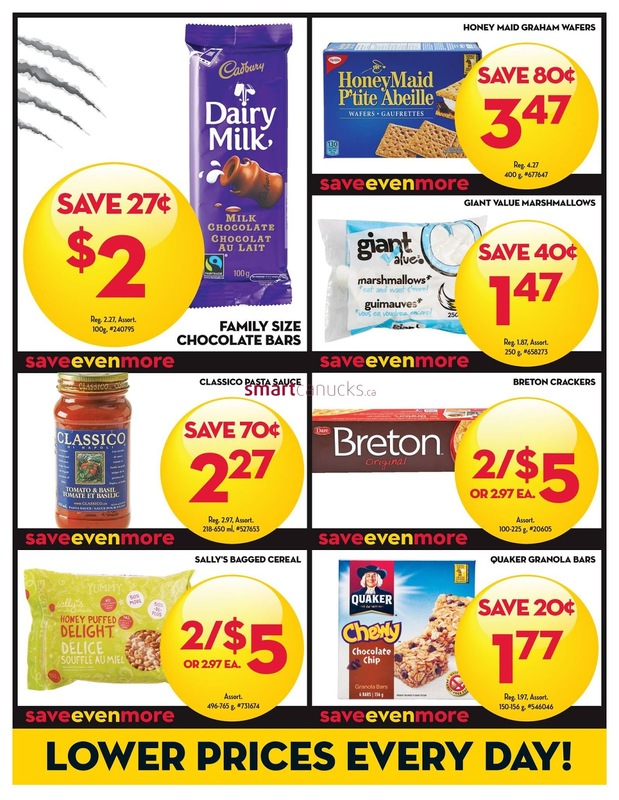 limit of 6, Thin crust pizza $3.33 save 2.64 limit of 4, Instant Coffee $3.87 ea save up to 1.60 limit of 4. 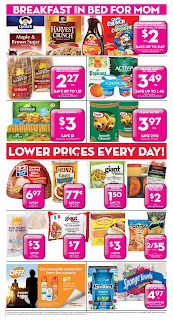 Breakfast in Bed For MoM Aunt Jemima Syrup or Pancake Mix or Quaker Instant Oatmeal or Cereal $2 ea save up to 2.67, Contry Harvest Bread or Bagels $2.27 ea save up to 1.51, Orange Juice or yogurt $3.49 ea save up to 1.48, Hash Browns $3 ea save $1, Peanut butter $3.97 ea save 2.90. 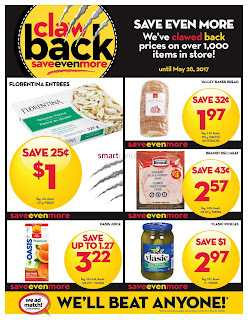 Basa Fillets $3 ea save $1. 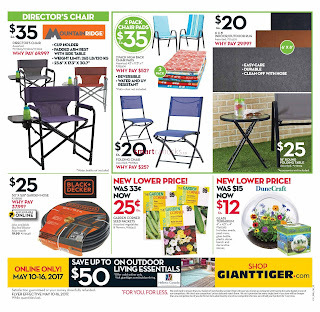 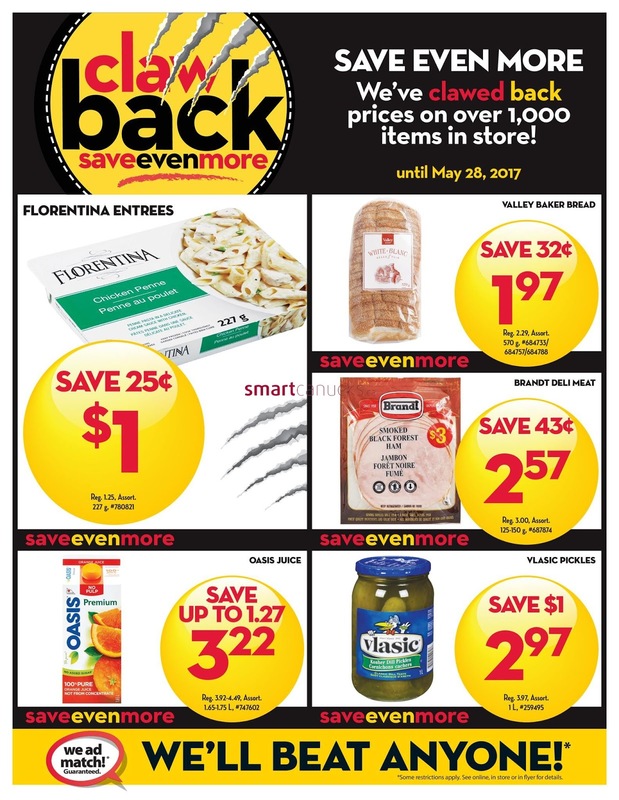 Just a simple click on the image bellow for details Giant Tiger Flyer May 10 to 16, 2017 - ON. 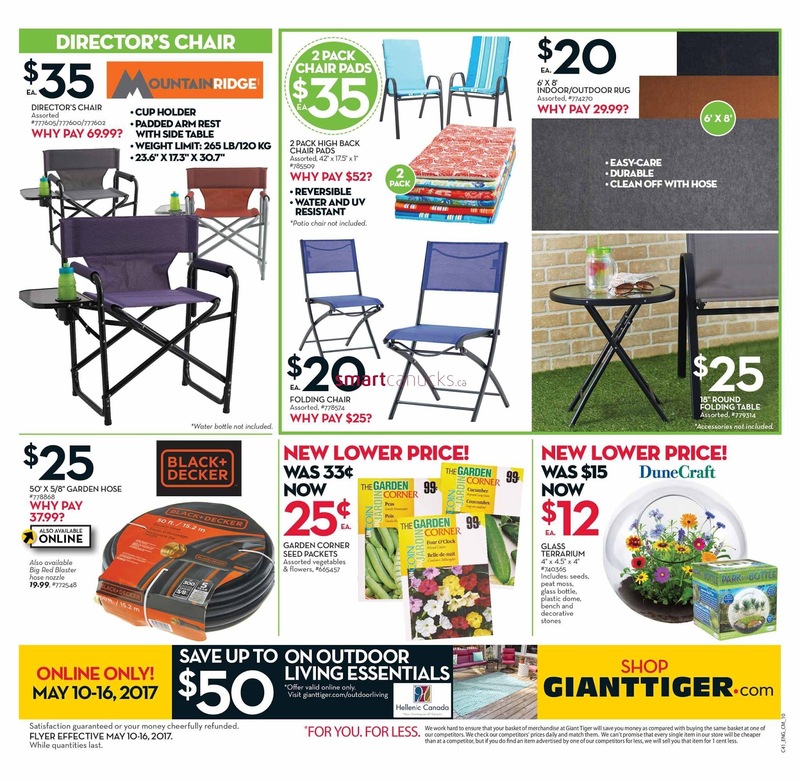 Giant Tiger Canada Flyer Valid May 10 to 16, 2017 - ON. 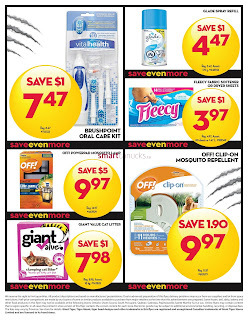 Subscribe this category for more of Giant Tiger Flyer products and deals.